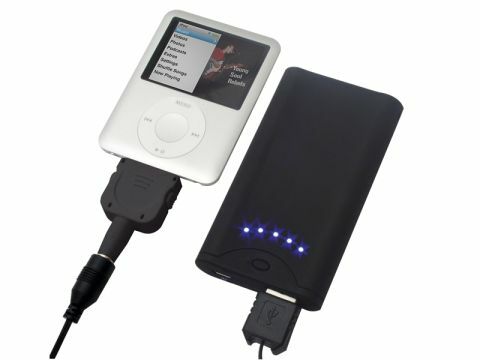 The compact Proporta Mobile Device Charger is ideal for adding extra power to your MP3 player, smartphone or PDA. Charged using your laptop via USB, five LED lights identify how much power it contains - up to a maximum of 1700mAh. When full, all five will be lit. Then, it's simply a case of using one of the supplied connectors to hook it up to your portable device. Once attached, press the power button and it will charge your handheld's battery until full or you detach it. Naturally, the length of charge depends on the amount of power it draws, but we found it would easily recharge our iPod Nano and Nokia phone a couple of times before we needed to recharge it.